Many of us (humans) consume pharmaceuticals to cure or reduce our ailments and generally increase our quality of life. Often times, our body will only break down and use a small amount of the active compound(s) in these pharmaceuticals. What happens to the compounds that our body doesn’t use? They’re likely to end up in the toilet after we use the bathroom, and get flushed away. In urban areas, what goes down our toilet usually gets carried to a wastewater treatment plant, where the water is treated through many steps that are usually thorough at removing materials that are not water. However, many of the pharmaceuticals that go down our toilets as waste don’t get removed or broken down during the wastewater treatment process. Consequently, when wastewater effluent is released back into our waterways, it can still contain active ingredients from pharmaceuticals. 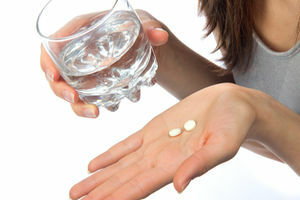 One family of pharmaceuticals that does not get broken down or removed during wastewater treatment is benzodiazepines. Benzodiazepines are the most commonly prescribed anti-anxiety medication, and are designed to alter behaviour. They are also not easily broken down in natural aquatic systems, and so can be found in aquatic environments that receive wastewater effluent. So what has this got to do with fish? Well, fish share the same family of receptors that benzodiazepines target in humans – it is therefore possible that these pharmaceuticals could be altering the behaviour of fish that are exposed to them through wastewater effluent. Tomas Brodin from Umeå University, Sweden, and his colleagues proposed this idea and set out to test it using a fish species commonly found in areas exposed to wastewater effluent; European perch. Do fish change their behaviour when exposed to benzodiazepines? 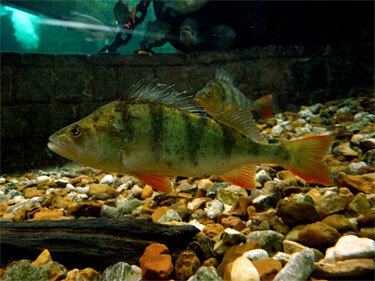 They found that European perch exposed to benzodiazepines in concentrations found in streams receiving wastewater effluent were more active and less social, foraged more, and showed more risky behaviour compared to individuals that were not exposed. European perch (A) increased their activity, (B) increased their boldness (risk-taking), and (C) decreased their sociality when exposed to high and low concentrations of a benzodiazepine. ‘Control’ indicates fish held in water that did not have benzodiazepines, ‘Low’ indicates fish held in low concentrations of benzodiazepines, and ‘High’ indicates high concentrations of benzodiazepines. Figure taken from Brodin et al. 2013. Brodin and his colleagues suggest that these changes in behaviour are likely to have ecosystem-level impacts, as fish are an important part of aquatic ecosystems and food webs. In particular, they note that the increased feeding rate could impact the organisms that these fish feed on (zooplankton) by decreasing their population size. Zooplankton eat algae. Therefore, decreases in zooplankton could allow algae populations to get very large, producing algae blooms. Additionally, the researchers note that increases in risk-taking and decreases in sociality could increase the chances that fish get eaten by predators. Ultimately, it’s not clear what the overall effects may be and this is an important topic for future research. Fish alter their behaviour when exposed to concentrations of pharmaceuticals found in our natural water ways. In another recent blog post, the author concluded that living in habitats impacted by humans could alter how some fish species respond to stress. Overall, it will likely be hard to predict how these (and other) combinations of effects impact fish living in altered habitats. Brodin, T., Fick, J., Jonsson, M., and Klaminder, J. 2013. Dilute concentrations of a psychiatric drug alter behavior of fish from natural populations. Science 339: 814-815.